I have been making pipes since 2011 - at the time of this writing has already gone five years. Not the longest work, however, this is enough time to fully understand how to make a really quality smoking pipe. I can't appreciate the aesthetic qualities of my pipes - I leave it you. But the taste, the quality of the fit of parts, accuracy of drilling and thoroughness of handling even the smallest details of my pipes is excellent, I am immodestly absolutely sure about it. Selling a pipe, I know it will be fine to smoke, simple and convenient in exploitation. As additional quality assurance I offer the opportunity within a week after getting a pipe to return it and to get back all its cost, except the shipping costs. No one has used this opportunity yet. For the making of my pipes I use only quality materials from reputable suppliers that have never failed me. 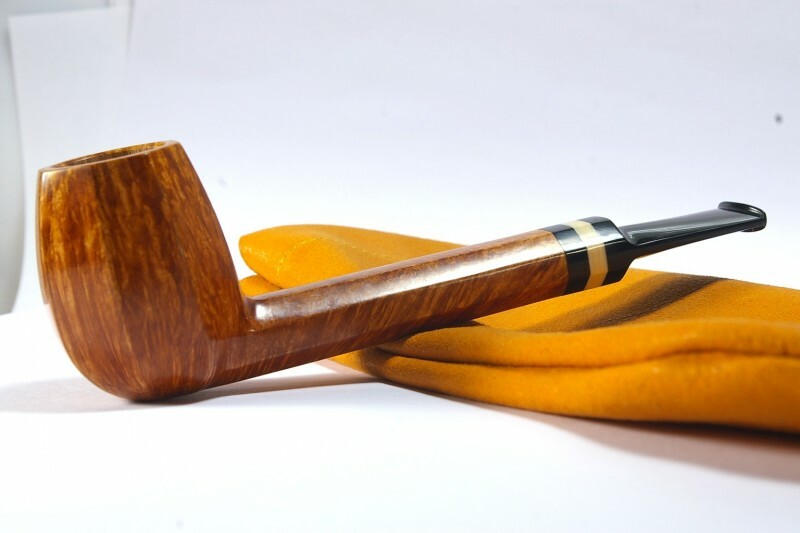 I buy the briar only from MANNO - perhaps the most famous briar cutter. And this is really important: the taste of a pipe is very dependent on quality of briar. Of course, during my work I have experimented with different suppliers. And decided to stop these experiments. The only benefit of other briar suppliers is a lower price. And I am sure, pipe maker should not save on briar. Briar from MANNO is always well cooked, always sufficiently dried, it is always damn tasty. Unlike some other suppliers, which used to disappoint. Meanwhile, I have to trust my reputation to my briar supplier, because if the customer remains dissatisfied with the taste of the pipe, it will be my fault. I buy ebonite from a German manufacturer SEM. Ebonite supplier selection is not so important to the quality of pipes. There are some German, US and Japan manufacturers who can make high-quality ebonite, which can be well polished, do not fade and do not turn green in a month. And possible disadvantages affect only my work, but not on the quality of my pipes. For example, sometime bubbles happen in ebonite, because of which I have to throw almost finished stem out. It's frustrating, but it happens equally rare with all of the manufacturers that I worked with. I'm not a fan of nosewarmers, and I am not involved in the current trend to reduce the dimensions of pipes. Most of my pipes have a size greater than the market average. I have to refuse nosewarmer orders because I don't smoke them and don't understand. Among pipes shapes I prefer classics. If I do sometimes freehands, they are quite simply, with no frills. My favorite shape is canadian. Almost equally I appreciate other forms of canadian family: lumberman, lovat, liverpool. I often use decoration rings of different materials: boxtree, rosewood, olive, mammoth tusk. For thin shanks I often use silver rings - they look beautiful, and give me the opportunity to make shank slim and durable at the same time. I strongly believe that engineering is the focal point of any smoking pipe. It is engineering which shows the difference between good and bad smoking pipe. Below you will find the main engineering principles I follow when making a pipe. Any work piece that doesn’t satisfy the requirements is rejected and sent to a fireplace. 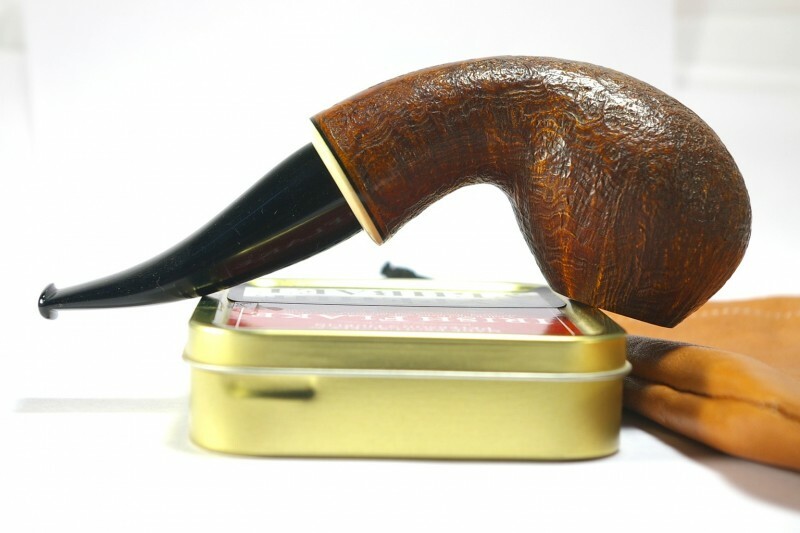 Although the visual appeal of my smoking pipes depends on particular taste, the quality of performance of their inside is perfect which ensures seamless smoking and easy care. The air hole ends up exactly in the bottom of the tobacco chamber. Never higher. Sometimes a bit lower as a groove to 1 mm deep. This should be done in Canadian pipes, for the bottom mustn’t be too thin. The tenon almost bumps up against the mortise. I margin shares of a millimeter taking into account heat growth in hot weather. The mortise itself is drilled with a flat-bottom mill instead of a usual drill to avoid cavitations inside the pipe. That kind of mortises don’t have to be cleaned regularly, there isn’t any gurgling or hissing. The air hole is perfectly centered at the bottom of mortise. The shank and the mouthpiece have an exact match. One never finds any projection in that joint; the pipe line isn’t broken, since it has been polished as one piece. When the shape of the pipe assumes the mouthpiece symmetry, I work hard to enable the mouthpiece being inserted anyhow without necessity to detect the top and the bottom. The air hole tapers smoothly without projections despite the fact that it was made sequentially by drills of different diameter. All projections are sanded carefully, and the air hole is perfectly smooth. The mouthpiece bit is relatively thin (about 4 mm), but the walls are not thin, so one should try hard to bite it through. The stummel foot is thick enough. To get the thickness the air hole is drilled a little above the channel axis, even in straight shapes, such as in Billiard. In case I use a glued-in teflon tenon, I previously drill a corresponding hole in the mouthpiece without making a cavity inside. The air hole slot is made in a shape of a deep cone to let smoke expand and hinder from burning the tongue. It takes me tons of time to take into account all the nuances and make the engineering perfect. That is one of the reasons why my pipes are more expensive than machine-made smoking pipes. Whereas the air hole enters the tobacco chamber too high from its bottom, tobacco will never be burnt till the end. And if the tobacco remains stay in the chamber for a long time the pipe can get sour. Too deep mortise can cause formation of cavity that would need a special cleaning. The channel begins much above mortise bottom and makes it impossible to clean the pipe as a unit. The brush will bump against a projection. In industries a mouthpiece is produced apart from a stummel which can cause projections and gaps. However those are considering as an aesthetic defect. Because of a dramatic narrowing mouthpiece air hole (projections) there will certainly appear condensed moisture along with filth that is hardly to be cleaned with a brush. A thick area before the mouthpiece lip is a key bane of industrial pipes. It’s not comfortable to hold it between teeth. A thin stummel foot will get hot in no time. Inside the mouthpiece sometimes a large cavity can be found beneath the glued-in teflon tenon. It will accrue dirt which will be impossible to clear out. Over time brush shags will be added up and they will form grogs that will never be washed away even after hours of steeping the pipe in spirit. The grogs will spoil the tobacco smoke by making it sour or bitter. The mouthpiece slot made with a round cutter unlike a cone shape, doesn’t allow the smoke to expand smoothly. Thin flow of smoke will burn the tongue.